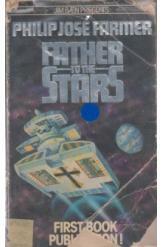 Father to the Stars Philip Jose Farmer Sci Fi. Book is in good condition, all pages intact. A reformed space criminal turned priest, Father John Carmody travels the stars righting wrongs in his own unorthodox way. He now finds himself begetting a new god.